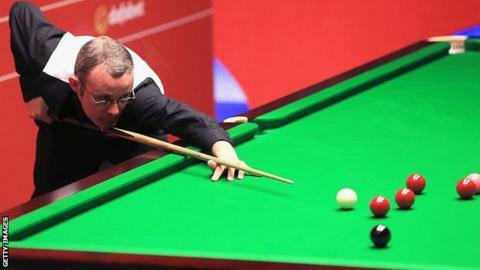 England's Martin Gould was whitewashed 5-0 by 15-year-old Chinese schoolboy Yuan Sijun in the first round of the China Open on Tuesday. Yuan, who made his debut at a ranking event aged 13 at the 2013 Shanghai Masters, will next play Graeme Dott. World champion Stuart Bingham meets Ian Burns next after beating Sam Baird 5-3. Burns whitewashed two-time winner Peter Ebdon to progress, while Judd Trump will face Jimmy Robertson next after a walkover against Stuart Carrington. Amateur Yuan made breaks of 51, 102 and 55 as he beat world number 13 Gould, who last month won the German Masters. "Two wins in a row is a breakthrough for me," said Yuan, who beat Andrew Higginson in the wildcard round. "My parents are not with me because their presence would have made me nervous, which has happened before." In other first-round ties, Kyren Wilson beat fellow Englishman Tom Ford 5-3, while Scot Rhys Clark edged past Mark Davis 5-4. There were also wins for Martin O'Donnell, Ryan Day, Darryl Hill, Marco Fu, Mark King, Lee Walker and Rod Lawler. The ranking event is the last before the season-ending World Championship in Sheffield, which starts on 16 April.